Did you run out of capital OR did you lose money? Both - as I explained in the previous answers our costs were too high, which brought the retail too high. In hindsight I would have done it differently - in our case we would have needed to specialize more, i.e. 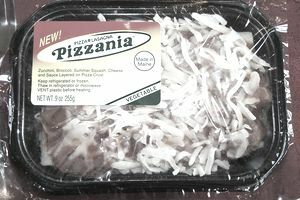 create a "gourmet" or "all natural" pizzeria and target high-end gourmet stores and/or natural chains like Whole Foods. I don't think this would be an issue for a company already producing pizza/Italian foods who buy the ingredients in bulk. We had to buy such small quantities and use a co-packer, it ate up any profits. I think our mistake was going the "general" route and not specializing since our costs were too high to compete with the everyday items out there. So Why Do Food Entrepreneurs Fail? well… costs are high or low relative to the suggested retail price (SRP). This is a common mistake to build a product first without doing the homework to know what is the “right” price for the category the product will be in. So food entrepreneurs who make this mistake, try to raise the retail price to eke out some profit. It just doesn’t work since the consumer will see the product as too expensive and the supermarket buyer probably won’t put you on the shelf. The first mistake is to think you should be gourmet. What is gourmet? It is too broad and nebulous. All natural is OK, but there are so many “all natural” products that this is not a differentiator. Are there any –“non-natural” foods in Whole Foods? For Whole Foods, all natural is but one of may qualifiers before they even begin to consider looking at your item for distribution. To target “target high-end gourmet stores”, a brand needs a high-end line of products. The consumer will NOT perceive a pizza lasagna as either high end Or gourmet. Copackers don’t eat up profits unless you select a bad copacker. Small quantities do cost more BUT when you start up, you can’t buy large quantities… it eats up way too much cash and all your cash will be in your storage area and not work for your brand for marketing and sales. Well here is the “not knowing your customer and your category”. People who buy “everyday items” are shopping on price. So if you compete on price then you’d better have a way to start off with really low costs. Startup food companies need to have unique products that give the consumer something that can’t find OR really, really want. Then you are not competing on price and have a product design that can make money.